Hello! My name is Tom, for the last week I have been working at Silverpond as a work experience initiative. This post describes a high school students outlook on programming and machine learning. Please enjoy! As a high school student who had no experience working in an office, the prospect of working for a company that deals with tasks as difficult as machine learning and programming I am unfamiliar with was rather daunting. After only a week of working at Silverpond, I have developed a newfound respect for programmers all over the globe. Their job is complicated and difficult to learn but repays double with the joy received when a complicated program or process runs smoothly. 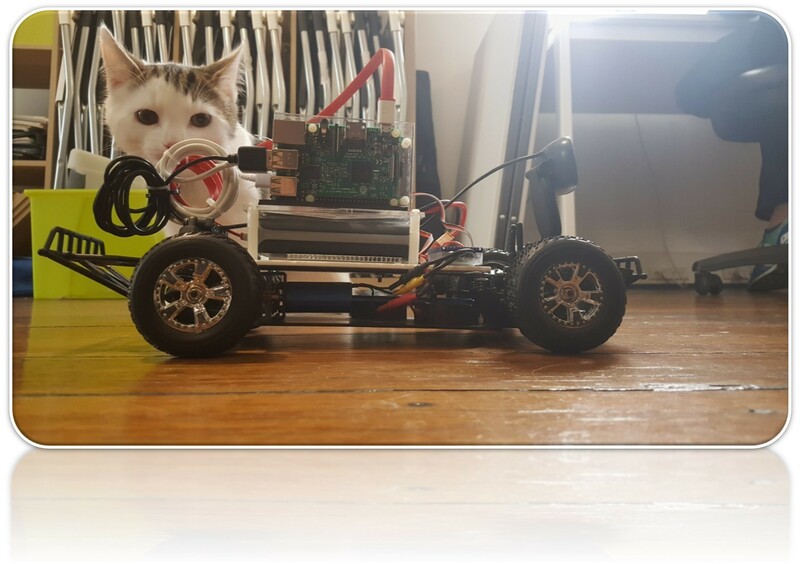 Whilst working here I was tasked with aiding other coders to program a self-driving car using image detection powered by a neural net. Here is the car itself with Philipe for scale. This task would most likely be a simple one for a veteran of the profession, however with my initial knowledge of the coding language, Python, being smaller than a peanut I somewhat struggled. Despite this, with the help of the Silverpond team, I was able to develop a basic understanding of Python and various programs associated with it in just a few days. A special thanks to Josh Patterson for being my mentor and supervisor throughout my days at Silverpond. In this current era, computers are getting smarter and smarter every day and that is due to people and organisations like Silverpond, who are constantly developing software to simplify and speed up jobs. If you’re reading this post you are probably already familiar with machine learning but for those who are not, machine learning is the process of getting a computer to learn and make decisions without specific programming for each input. In other words, a computer that can learn from its mistakes and successes. After my time here has ended I will endeavour to continue my exploration of machine learning and various coding languages, as having a knowledge of such things is becoming more and more important in nearly every profession. For example, after high school, I plan to study architecture and structural engineering. Both of these areas are for the most part completely digital and everything that is not digital could be helped along by machines that can determine measurements, weight, amount of materials needed on site etc.